Holly Herndon’s set at Big Ears this year was easily one of my top three of the weekend. Accompanied by visuals from her husband Mat Dryhurst, Holly flowed between songs, mixing improvisation with more formal songs. Rooted in techno and avant-garde electronic music, her music moves in strange but familiar ways. Take, for instance, “Chorus“: Over glitchy waves of sampled browser content, scattered drum hits build into a beat, grooving for long enough to convey the instant familiarity of dance music before breaking back down into scattered percussion hits and glitchy samples. I got the chance to interview her before her Red Bull-sponsored show last Tuesday at the Empty Bottle. We talked about her compositional techniques, her approach to live shows, and what her upcoming album Platform will sound like. Listen to the full audio below. Featured image via Holly Herndon’s website. Los Perros Cubanos, a local band that visited our WNUR studio last winter, will be presenting their newest program on June 14th at 27 Live in Evanston. Roger Sosa, the band’s leader, spent a few minutes chatting with Continental Drift about this upcoming show and their recording plans for the nearest future. On March 9, K-Sound interviewed Korean band Idiotape and filmed their live performances. Find the interview and live performance of “Cats” below. Check out the full playlist of Idiotape’s in-studio performances here. A couple of Rock Show DJs had a chance to sit down with guitarist Mark McGuire, formerly of Emeralds, to talk about his new album, his upcoming collaborations, and his approach to making music. Be sure to check out Mark’s most recent album, Along the Way, out now on Dead Oceans! Listen to the interview here, or check the text after the jump! Here begins our rollout of coverage of Big Ears Festival, which went down last weekend in Knoxville, TN. 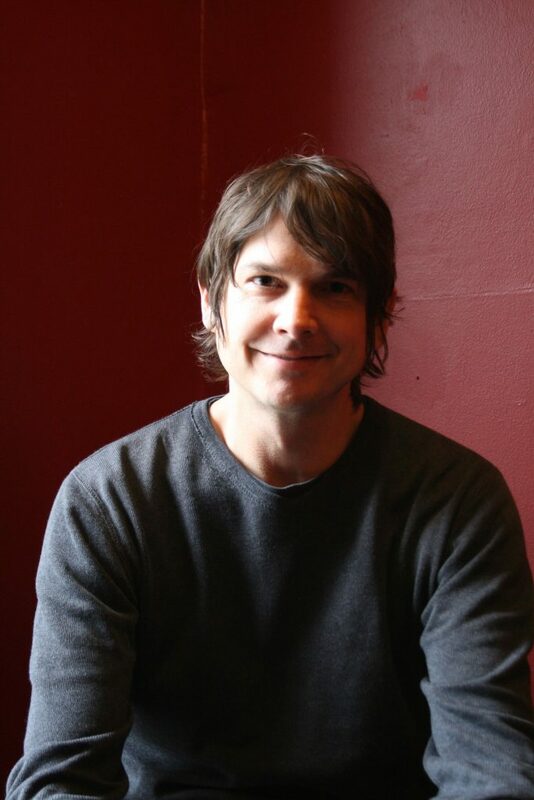 First up, we have an interview with Chicago’s own Glenn Kotche, who you might know as the drummer from Wilco. Kotche is a man of many hats – a percussionist and a composer. Check out his new album, Adventureland, which was released on Cantaloupe Music on March 25. Listen to an audio version of the interview here, or check the text after the jump. WNUR News had the opportunity to sit down with Marissa Penrod, the founder of the Dance Marathon 2014 Beneficiary, Team Joseph. We discussed the struggles in starting a foundation, the complications involved in finding a cure for Duchenne muscular dystrophy, and the power of the Dance Marathon experience. You can find more Dance Marathon coverage at WNUR News. WNUR DJ Jessica Peng spoke with singer songwriter Maris Maeve, a senior student at Northwestern University. Her latest album “Inflection Point” was released in 2012, songs from which were featured in the Spring 2013 issue of NU Helicon literary magazine. [soundcloud]https://soundcloud.com/wnur/interview-with-ori-kaplan-of[/soundcloud] Svyat Nakonechny ’14 had a chance to chat with Balkan Beat Box’s Ori Kaplan as the group is getting ready to storm the stages and bring the party back to the United States. In light of their Chicago show later this month, we talked BBox’s most recent album “Give”, upcoming musical plans, and the boom of the international music scenes in New York City and Chicago. Here is a shortened version of this talk. I recently spoke with Italian alt-classical pianist Ludovico Einaudi, whose American tour is coming to a close at the beginning of June. It was a great conversation—check it out above. Danish singer-songwriter Nana Jacobi spoke with Continental Drift last quarter. Her most recent album, Visitors, dropped last year. Check out the interview below. Featured image via Nana Jacobi tumblr site.